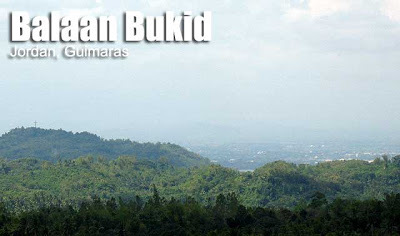 A pilgrimage and trekking site that offers views of Guimaras as well as Iloilo City to the north, Balaan Bukid is an easy hike from the capital town of Jordan. This hill whose Hiligaynon name, when translated, means “Holy Mountain” is marked by a chapel and a white cross at its peak. This large cross, which is visible throughout the province, is the culmination point in a Holy Week ritual called “Ang Pagtaltal sa Guimaras” – a folkoric version of the Passion. The same goes for casual pilgrims who do the “Way of the Cross” in this hill. 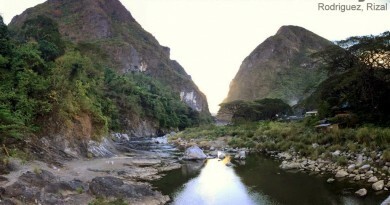 Throughout the year, Balaan Bukid is available as an easy hike that can be included in a one-day trip to Guimaras. Nestled between the big islands of Negros and Panay, Guimaras is the island famous for its delicious mangoes, said to be the sweetest in the world. Once a subprovince of Iloilo, the island attained full provincehood in 1992, and it has since developed a modest tourism industry. There are notable beaches in Guimaras, including those at Sitio Alubihod in Nueva Valencia. The white sand has inevitably been compared with that of Boracay. Although the latter’s sand is finer and the coastline much grander, the Alubihod beach is a worthy item. There’s also a Valle Verde Mountain Resort which offers some pools and a trek down the bay of (on the island’s SW). Going there from Iloilo is a breeze. Small crafts ferry passengers from Iloilo to Jordan throughout the day, taking only 15 minutes. From Bacolod, Iloilo is, by fast craft, just an hour away. Just ask the locals at the pier for a tricycle to Balaan Bukid. The trails are well-estalished, easy, and with verdant surroundings. With its strategic location, Balaan Bukid and the beaches of Guimaras are a worthy sidetrip for mountaineers visiting the Panay mountains (i.e. Mt. Madjaas) or the Negrense ones (i.e. Mt. 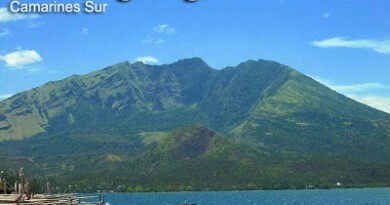 Kanlaon). 1130 ETA Alubihod Beach; Lunch at Raymen’s. 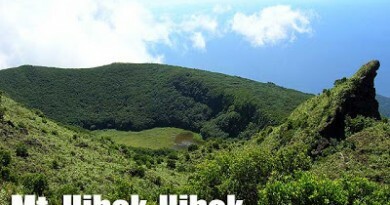 There are no permits necessary to climb Balaan Bukid as this is open to the general public the whole year. There are communities in the hill, and sari-sari stores. Sunblock is a must (also for the beach of course!). Those who wish to have a quiet time at the top, taking pictures of the islands and the seas, must avoid the Holy Week as people literally flock by the hundreds. The fastest way to travel in Guimaras is by motorcycle. 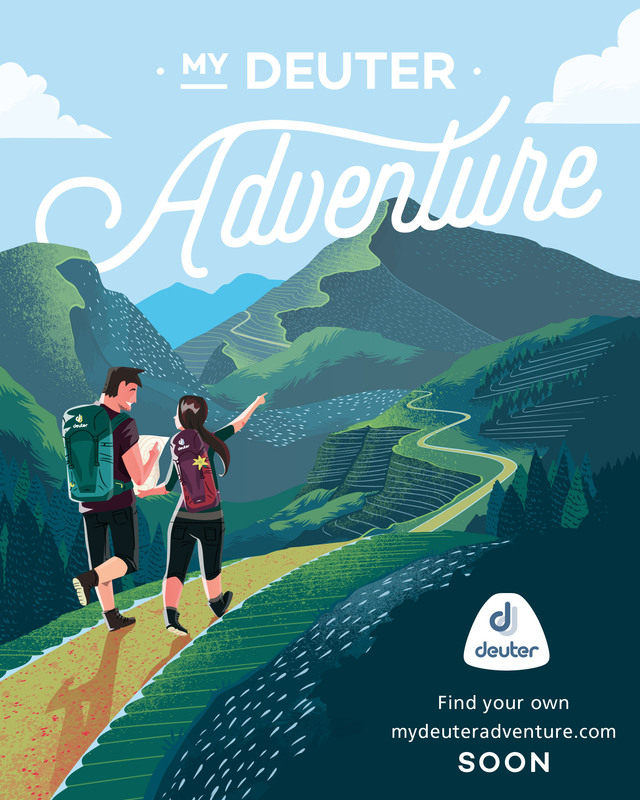 If travelling alone or in pairs, this would be the best option to go to Alubihod. Otherwise, there are jeepneys/tricycles. Just ask the locals. Allow P500 for this daytrip if travelling with a pair from Iloilo, most of which will be spent in transportation and food. The entrance fees at the beaches in Alubihod range from P10-P50. The name of the religious site atop Balaan is “Ave Maria Purisima Shrine”. There’s a Trappist Monastery in Jordan – an idyllic place. A shop sells delicacies made by their Order, such as the native piaya and mango jam. According to Wikipedia, the delicious mangos of Guimaras are said to have been served at the White House and Buckingham Palace! 6 Comments on "Balaan Bukid (170+)"
Can anyone help me to find a cheap jeep for rent gong to akiki – amba. Hello! I visited Balaang Bukid last October 2, 2011 my first time to visit that sacred place, I was lost for 3 hours, mabuti na lang may magaling na tracker doon at nakita ako, It was really a great and very memorable experienced. Natatawa ako pag naiisip ko at po iyon pero hindi ako natakot kasi wala namang mga bad doon puro mababait ang tao. Soon to visit there again, Very nice over looking at sa ECO park din nila napakaganda..
you should visit this pilgrimage site whenever you are in Guimaras. 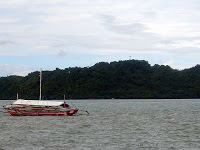 It would afford you a great view of Iloilo City with the beautiful waters of Iloilo strait in between. Tricycle fare to Balaan Bukid, Jordan: php30.00 as per tourism office but for locals it is only php20.00. Hike to the church atop can take you around 10-20 minutes only, with 15 stations of the cross. Trail is wide and very serene.